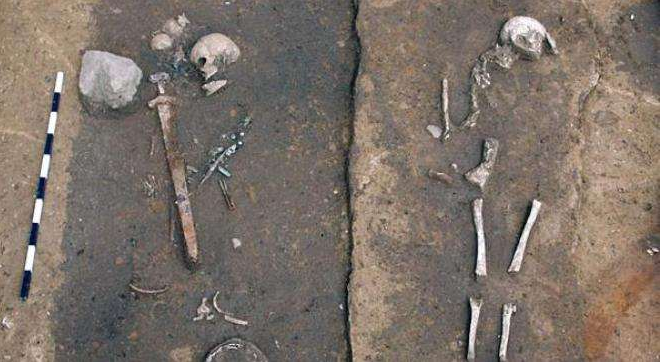 Archaeologists remain mystified and spellbound by a thousand-year-old cemetery with Viking traits discovered near the village of Bodzia in central Poland. “Nothing similar has ever been found before,” said Professor Andrzej Buko of the Polish Academy of Sciences on Monday, in an interview with Polish Radio. The excavations at the site took place between 2007-2009, in conjunction with the laying of the A1 motorway. Some 57 graves were found, yet the funeral rites betray an unexpected mixture of traits, taking in Scandinavian, Slavic, Moravian and Byzantine traditions. Particularly intriguing was the grave of a young warrior of about 25 years of age. He was buried in a foetal position, north to south, clutching an ornate silver sword, echoing Viking traditions. 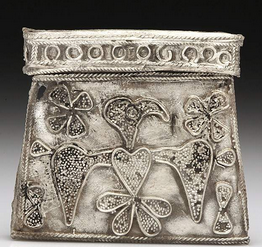 Yet objects found by the man suggest a provenance from Kievan Rus, a state that disintegrated in the 13th century. Was the man a Viking warrior, hired by the one of the rulers of Kievan Rus? Professor Buko also suggests that the burial of a young woman next to the warrior – betraying signs of a violent death – may indicate that the woman was the victim of a ritual murder. Meanwhile, archaeologists are similarly fascinated by the coffins used at the site. “One third of these graves have wooden coffins,” Professor Buko relates. “During this time, there were no such coffins on the Polish lands,” he explains. “It is a very, very late custom,” he says. Those buried at the cemetery were clearly a social elite, but archaeologists are convinced that they were not from the whereabouts of the site.